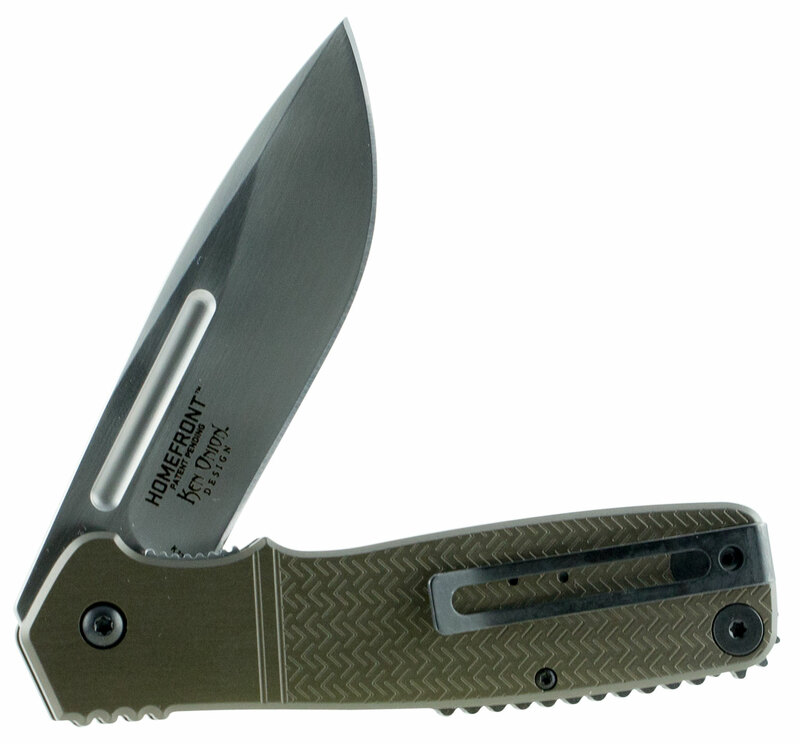 The Homefront knife features "Field Strip" technology. This in-field, no-tool take apart capability lets you purge your most reliable companion of a hard day's grime right where you are, without ever returning to your workbench. Its blade is constructed of AUS 8 with a brushed steel finish and 6061 aluminum handles.